Here are some hints and tips to make your freebie hunting smooth as possible. 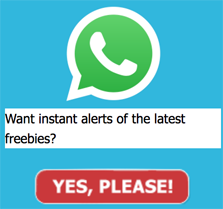 2) Join our Facebook and Twitter page if you want to be notified instantly about our latest offers. We add all new offers directly onto our social media channels. 3) Subscribe to our Daily Email Newsletter if you want our exclusive round-up of the best freebies of the week. Our team handpicks the offers and is sent every Wednesdays. 4) Download our iPhone/Android mobile app so you can check up on the latest offers then on the go. Available to iPhone and Android users. The app is 100% free and will be updated everyday with the latest offers. We will try and make sure you all offers work on mobile device. 5) Make sure you check our website regularly. We update the website every morning (around 11am) with 3-4 new freebies. 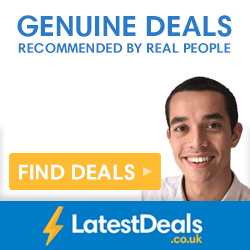 We only add genuine offers from legitimate companies. 1) Apply for freebies as soon as you can. The quicker you are, the better your chances. Popular freebies tend to be snapped up pretty fast. Make sure you check everyday and keep requesting the best offers. 2) Make sure you follow the instructions of each freebie offer. Fill in all the details they need. Please make sure you add the correct address. This is vital to get the freebies delivered to your house. 3) Order only the freebies you need. There’s really no point ordering freebies you don’t need. Try and give everyone a chance. We release new freebies every few hours so keep checking back and something you want will come along. 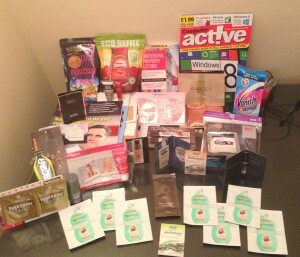 Do you have too many freebies? Feel free to send us your tips through our contact us page.